black tie, white shirtfront, green waistcoat, and black-and-white striped trousers all stitched together into one garment. A black frock coat completes the illusion of a three-piece suit, while a black rubber top hat and black dress shoes finish off the ensemble. Package Variants: Since it was a late release, the Wizard is the only one of the seven first-series Oz figures to only be available in the second, “yellow brick road” box. He was also available in a plastic header-carded baggie for clearance purposes (a rare end-run variant), as well as being included in the Emerald City Playset and the ultra-rare Emerald City Gift Set (along with the other six figures from series one). 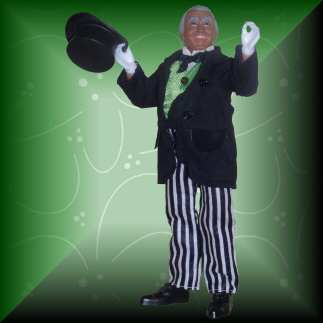 Figure Variants: The Wizard is available on both a Type 1 “fat” body and a Type 2 long-torso “fat” body (the Type 1 body is far more common than the Type 2). 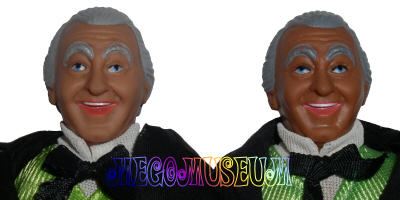 Also, there are two different heads (discussed below). Reduce, Reuse, Recycle: The Wizard’s Type 1 body is the same as the Penguin’s Type 1 body from the World’s Greatest Super-Heroes line. 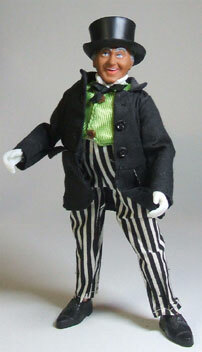 Also, the Wizard wears the same shoes as the Dracula figure from the Mad Monsters line. 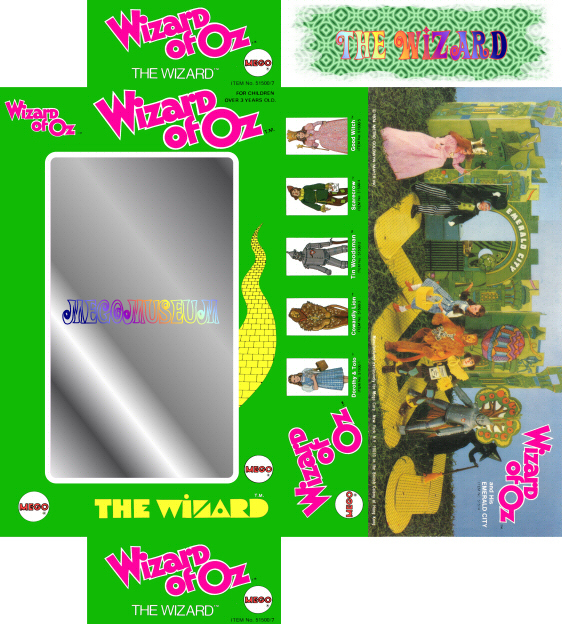 Since the Wizard was only available late in the series’ lifespan as part of the boxed assortment, Mego never went to the trouble of creating new side-panel artwork or box insert artwork for the Wizard; they instead used virtually the same box insert as Dorothy (the only difference being the Item No. printed on the cardboard), and reused the side-panel artwork lineup from the Wicked Witch’s box. Caution Collectors: Take care not to lose the Wizard’s shoes when handling a loose specimen; the footwear is too big and fits very loosely, falling off the feet at the slightest pull of gravity. Did You Know? : The Wizard is something of a paradox: it is one of the most common loose Mego figures (it was available well into the early ‘Eighties from mail-order catalogs and clearance houses, as Mego had tons left over), but is also one of the rarest boxed Megos ever made (no more than a half-dozen mint-in-box specimens–at most–have shown up on eBay in the last twelve months). 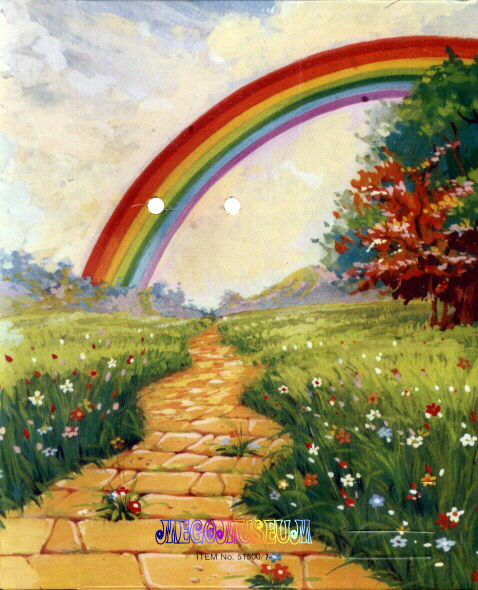 Click on the icons above to view detailed scans of the Wizard’s Box and Box Insert! 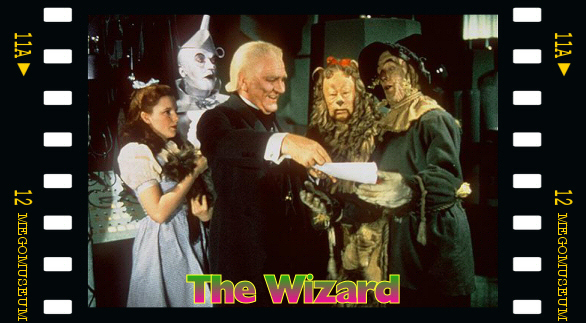 The Wizard’s head came in two styles, as can be seen in the image above. 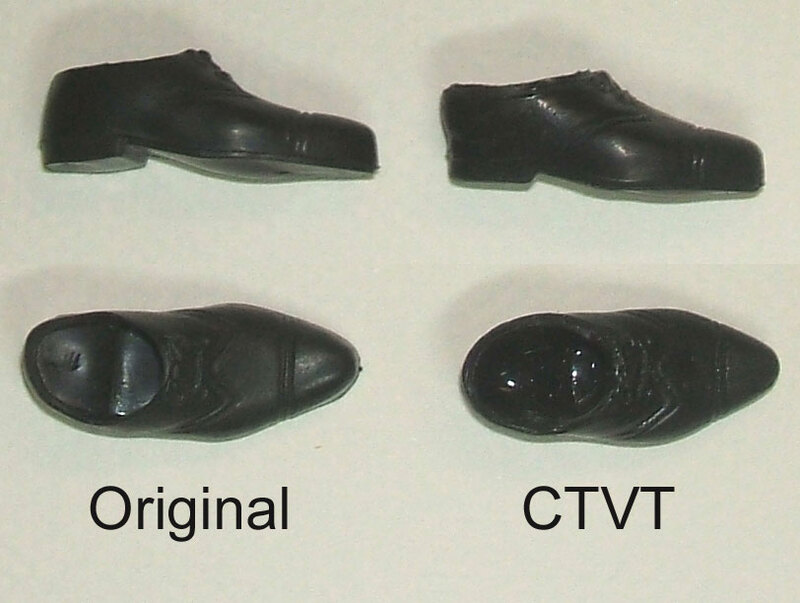 The first style was molded in lighter flesh, to match the flesh tone of the Type 1 body (left). The second style was molded in darker flesh, to match the flesh tone of the Type 2 body (right). and a mint-in-box Type 2 Wizard (right). 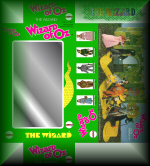 Above is an example of a catalog mailer box for the Wizard figure. 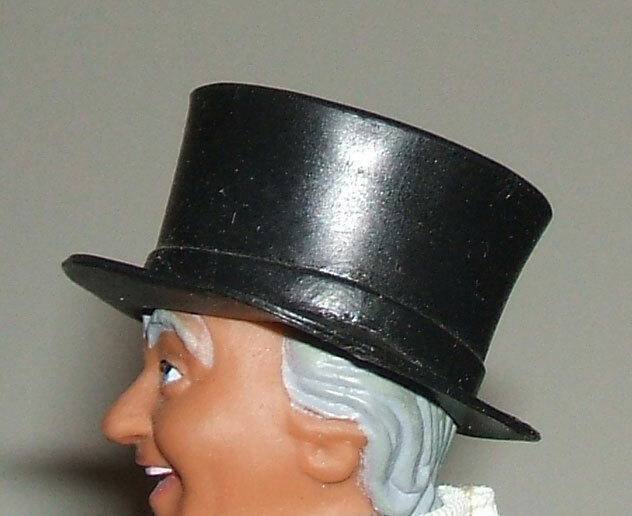 The Wizard sports a top hat that is unique to the character and has not been factory reproduced.